Yesterday afternoon, at the Sala Madonna di Loreto in Palazzo Aeronautica, the head of the Air Force, general of air squadron Alberto Rosso, met all the presidents of the non-commissioned officers, graduates and troops of the Italian Air Force. 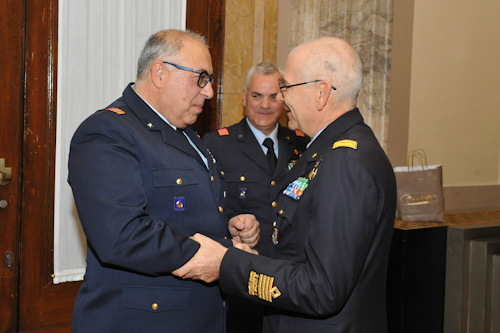 On the occasion, following the imminent placement of the 1 ° m.llo lieutenant Giovanni Palantra, the represented 130 elected the new head president of the non-commissioned officers, graduates and military troops. The 1 ° m.llo Lieutenant Donato Chiarello, of the 61 ° Stormo of Lecce, will be from today the reference point for the Chief of Staff of the Air Force. Just as the role of president of the non-commissioned officers has a fundamental role for the peripheral commanders in creating an environment where the personnel can identify and work with serenity and awareness of being considered and respected, the chief president is for the armed forces summit acting from connection between all the presidents. "The president of the non-commissioned officers is a very important figure for the entire Air Force. That of the chief president for the chief of staff is even more so. 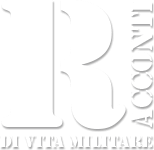 - These are the words of the general of the aerial team Alberto Rosso during the meeting - The 1 ° lieutenant Chiariello from today will be the representative of the Armed Forces, of all the human heritage that represents the indispensable ground crew that performs a silent and fundamental work at the service of the Italian Air Force and the country. I will have a direct relationship with the head president, I will always be available to listen and face any problem or idea that comes from every single representative of all the departments of the Armed Forces." As reported in the OD1 directive, the chief president, appointed by the Chief of the Air Force on the basis of the overall qualities of the military, such as charisma, experience and competence, is the top reference figure for all staff of non-directive categories ( non-commissioned officers, graduates and troopers). The head president, in fact, deals with human and social promotion for these categories, strives to increase their affection and sense of belonging to the Armed Forces and, moreover, can be heard by the head of SMA for employment solutions regarding particular problems of the individual or collective. This figure is the representative of the Air Force in all activities of exchange of experiences, studies or programs involving similar figures in international or inter-force. By virtue of his role as representative of the categories he can be present with the head of SMA at events representing the AM, in Italy or abroad.